The last day of September brought Vermonters to the realization that summer has come to an end, fall is here and winter is right around the corner. With all of our tree stands hung for the upcoming bow season, my good friend Mark and I took the opportunity to check on our favorite crappie spot. We strolled upon this spot last winter and the amount of crappie in this hole is mind boggling, It has been named the Glory Hole. I hadn’t been to the Glory Hole since spring so I was curious to see what the fish were up to, and see where they were holding up. To make a long story short, they are right where we catch them through the ice and they were hungry. 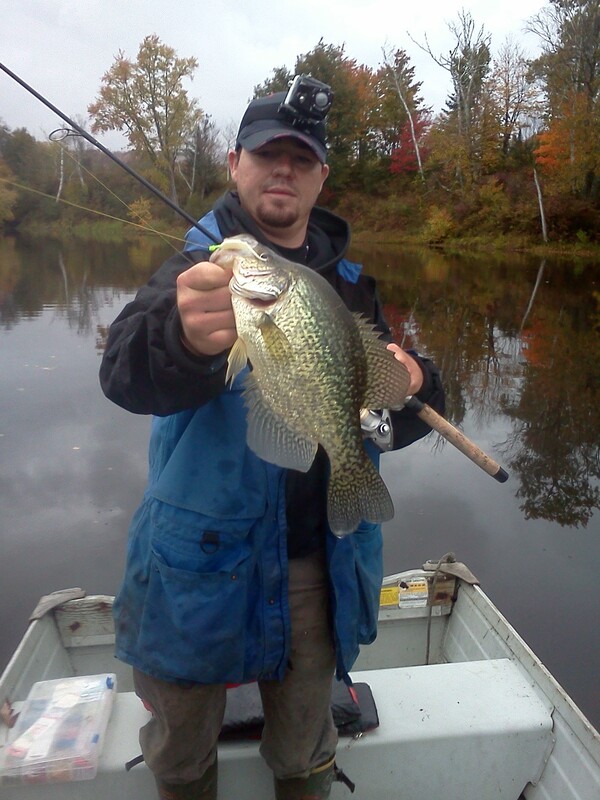 The large school of crappie were roaming the basin and a rather larger setback of the Connecticut River. As long as you know the contour of the setback you could stay on the fish. It was one of those days where you can’t really explain how good the fishing was, check with our YouTube page soon for a video of the day. We used two methods of presentation, jigs under a bobber, and a pendulum swing into the boat to a slow drop. 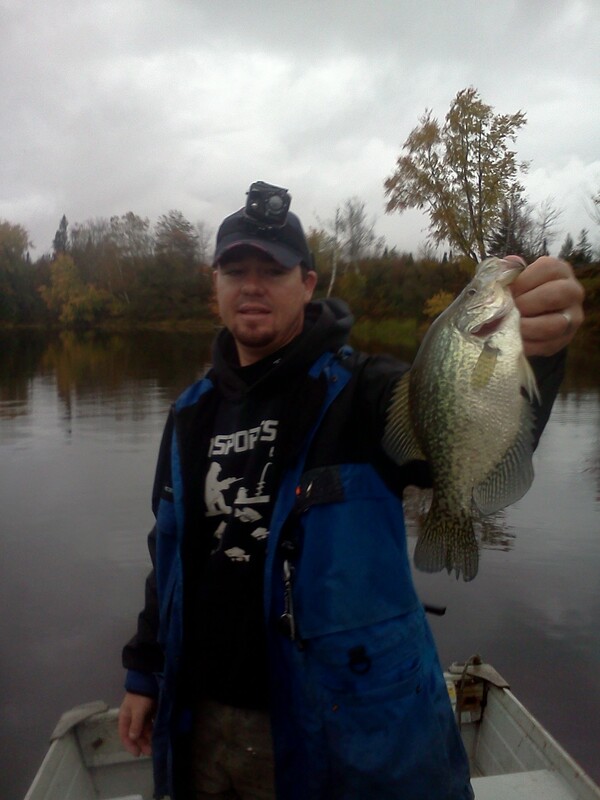 We first located the fish by making long casts with a 1/16oz jig tipped with the LFT Lures “Live” Baby Shad. A long cast was made, let the bait drop for a few secs and slowly retrieve the bait. The slow retrieve would cause the bait to pendulum swing through the water column. This not only allows you to locate active fish but it also gives you and idea of what depth they are holding at without using any electronics. The fish were suspended at 11 fow in 23 fow normally, when the fish became more active they moved up into the water column, 5 feet or less. For the first hour and a half or so we had to work to get the fish to bite, this is usually the case when the fish are holding in one spot, somewhat dormant not feeding much. 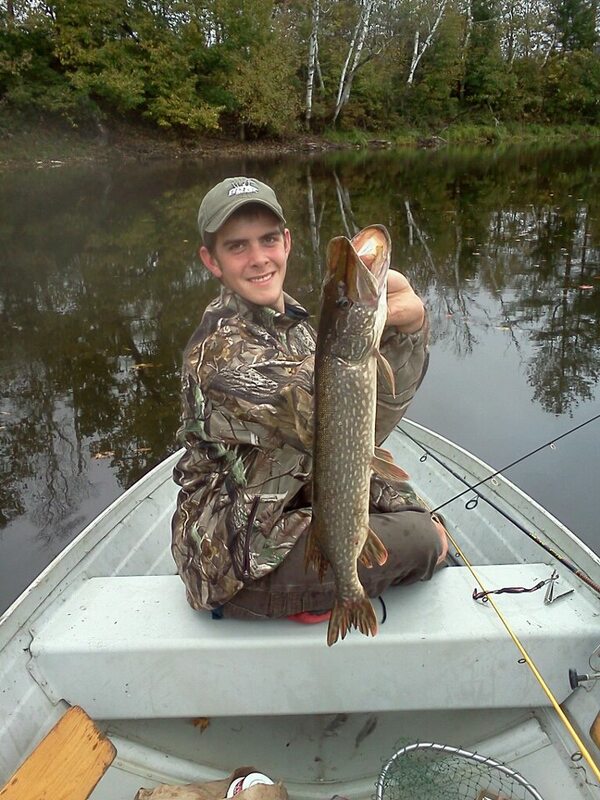 We were able to connect one some nice fish. Mark connected on the first big one. The fish were concentrated right off from some structure on a break in a holding pattern. Finally the pod of fish started to moved, this means in this particular spot that they are going to feed. These fish travel together and chase bait through the channel of this setback. We now changed our tactics and used a fixed bobber. When the fish start to feed they become more aggressive thus spreading them out in the water column, mostly up. 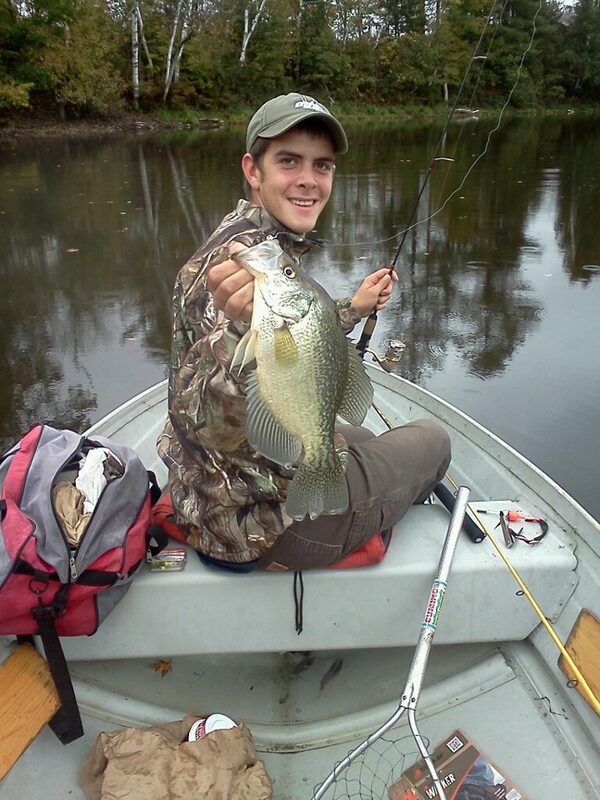 The more aggressive and often times bigger fish are found higher in the water column. 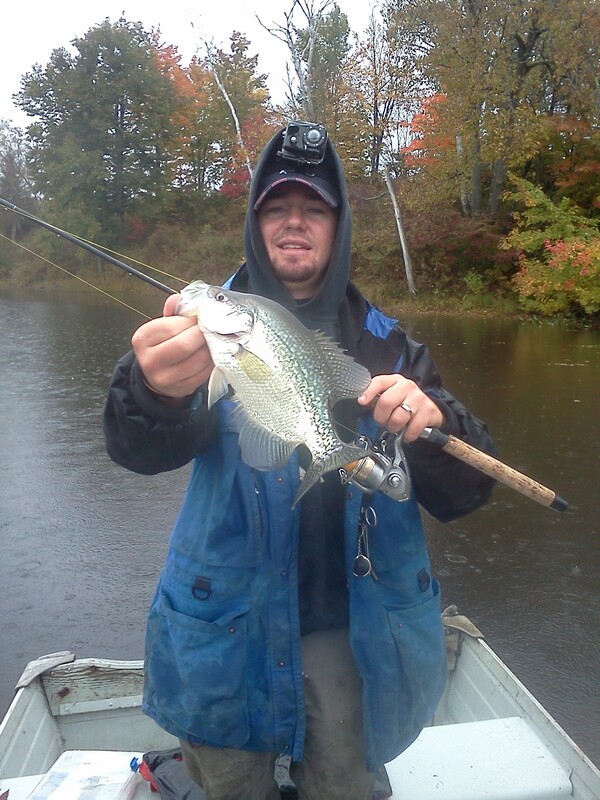 These are the fish that we targeted while we used the trolling motor to slowly follow the school back and forth and around and around in the setback. We saw a lot better quality of fish. The good bite lasted for about an hour. Now when I say good bite I mean a fish every cast, and a bite soon after the bait hits the water. By the end our our four hour trip we boated close to 200 crappie, two pike and two perch. All fish were released to be caught another day.